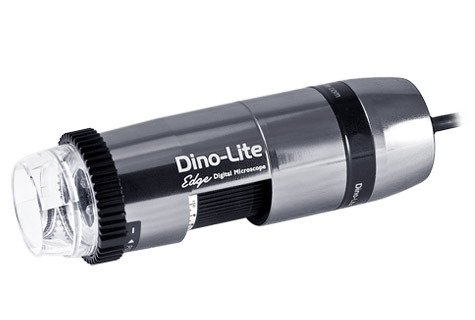 Dedicated to provide ample space for working under, the AM7115MZTL, a Long-Working-Distance(LWD) version of Dino-Lite 5MP Edge series, delivers superior image at 10x-140x magnification with greatest illumination flexibility. The AM7115MZTL is able to provide long working distance with fluent and crisp live image through the use of cutting-edge optics, advanced 5MP sensor, and low-loss MJPEG compression. The innovative Flexible LED Control (FLC) enables partial illumination to enhance edge contrast and provides intensity adjustability for better adaptability. 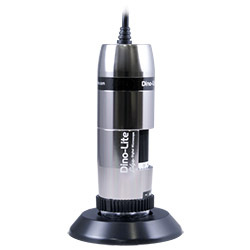 Together with adjustable polarizer, interchangeable front caps, rugged metal housing, the AM7115MZTL is made to be the tool of choice for wide range of applications.